Our database at PrivateEquityInfo.com currently shows 259 U.S.-based private equity firms with current portfolio company investments in European countries. Of these European portfolio companies, 50% are concentrated in just 2 countries (UK & Germany). Carlyle Group – focused more on the UK, Ireland, France and Germany. Investing from the Carlyle Europe Partners III fund with $1.7 billion in assets under Management (AuM). Advent International – portfolio companies in 13 European countries but tends to focus more on the UK, Germany and Poland. Investing from the firm’s Advent Central & Eastern Europe IV LP series of funds. Beringea – concentrated exclusively in the UK. Investing from the Michigan Growth Capital Partners I, II, & III, LP-Beringea Series of funds with a combined $229 million in AuM. KKR & Co. – portfolio companies in 10 different countries, but has concentrations in the UK, Germany and Spain. Investing from the KKR European Fund I, II, III, IV LP series of funds, KKR European Fund IV (EEA) L.P. and KKR European Infrastructure Investors L.P. I & II funds. The funds have a combined AuM of $6.7 billion, mostly in KKR European Fund III ($2.6 billion) and KKR European Fund IV ($3.3 billion). Oaktree Capital Management – portfolio companies in 11 different European countries, but has more of a focus in the UK and Germany. Investing from its Oaktree European Principal Fund L.P. series with combined AuM of $5.6 billion. HarbourVest Partners – portfolio companies in 11 different European countries, including more exposure to Eastern European countries (Poland, Romania & Slovakia). Investing from a variety of funds with a combined $507 million in AuM: HIPEP IV-European Buyout Partnership Fund L.P. ($12 million) , HIPEP IV-European Venture Partnership Fund L.P. ($46 million), HIPEP IV-Supplemental European Companion Fund L.P. ($8 million), HIPEP V-2007 European Buyout Companion Fund L.P. ($69 million), HIPEP VI-European Large Buyout Fund L.P. ($43 million), HIPEP VI-European small-Medium Buyout Fund L.P. ($138 million), HIPEP VII Europe Fund L.P. ($164 million). Insight Venture Partners – portfolio companies in 12 different European countries with slight concentrations in the UK and Germany. H.I.G. Capital – portfolio companies in 12 different European countries with a bit more focus on Germany and Spain. Investing from H.I.G. Europe Capital Partners, L.P. ($420 million) and H.I.G. Europe Capital Partners II, L.P. ($1.2 billion). Blackstone Group – primary focus on the UK and Germany for its European portfolio companies. General Atlantic – portfolio companies primarily in the larger European economies with some concentration in the UK and Germany. 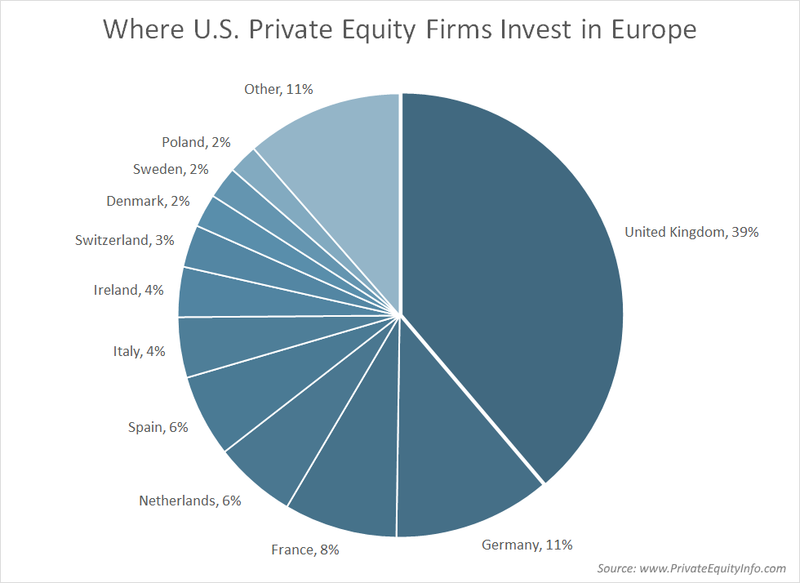 Subscribe to discover more U.S. private equity firms investing in Europe. Interested in Connecting with these Firms? Purchase the list of all 259 U.S. private equity firms investing in Europe for $349.